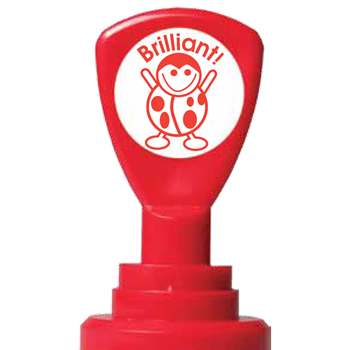 Save time with this happy red coloured Star Teacher Stamper! An awesome classroom tool! Pre-inked, ready to use, Impression is approx 20mm high. Over 10,000 impressions before re-inking required. Prints in colour shown.